In Washington, D.C., the Kill Committee gathers in the White House’s Situation Room to pick the next targets for the United States drone program. At an airbase just outside Las Vegas, a team of pilots, military personnel, and intelligence officers follow through on the committee’s orders, finding the men who have been deemed a threat to national security and sentenced to death. Meanwhile, on the other side of the world, in the mountains where the drones hunt their prey, someone has decided to fight back. And not just against the unmanned planes that circle their skies, but against the Americans at home who control them. 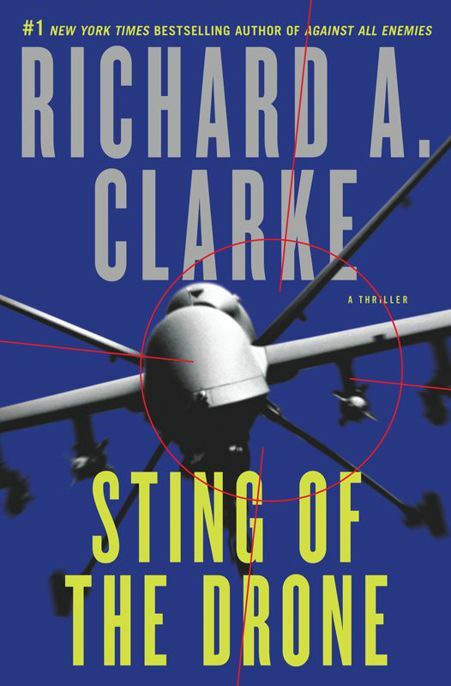 In Sting of the Drone, bestselling author Richard A. Clarke draws on his decades-long experience at the very highest levels of national security to craft a thrilling novel that has the feel of nonfiction, taking us behind closed doors to meet the men and women who protect America—and those who seek to do us harm.